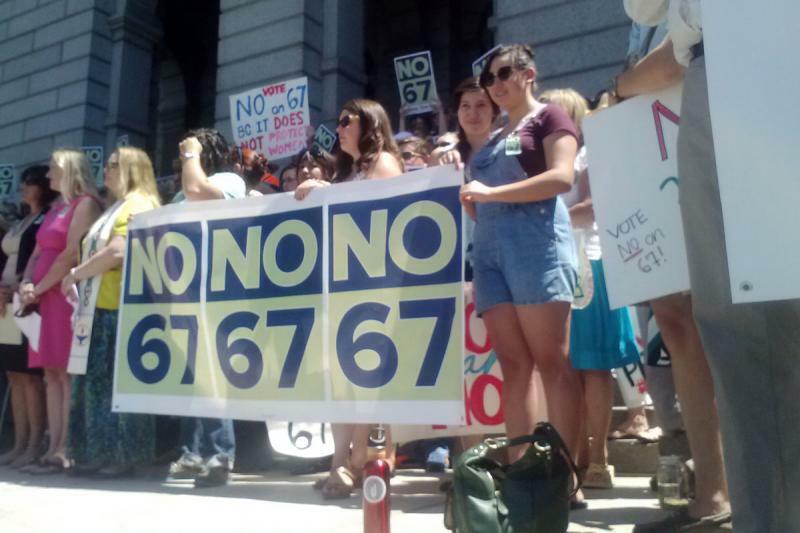 Opponents of Amendment 67 hold a rally at the state capitol in Denver. The amendment would give unborn babies the same constitutional and legal rights as a person. Colorado voters will once again decide on an amendment that would give unborn babies the same constitutional and legal rights as a person. The measure is bringing out some familiar faces – it’s also impacting one of the closest U.S. Senate races in the country. Attack ads are already running on both sides of the political spectrum. 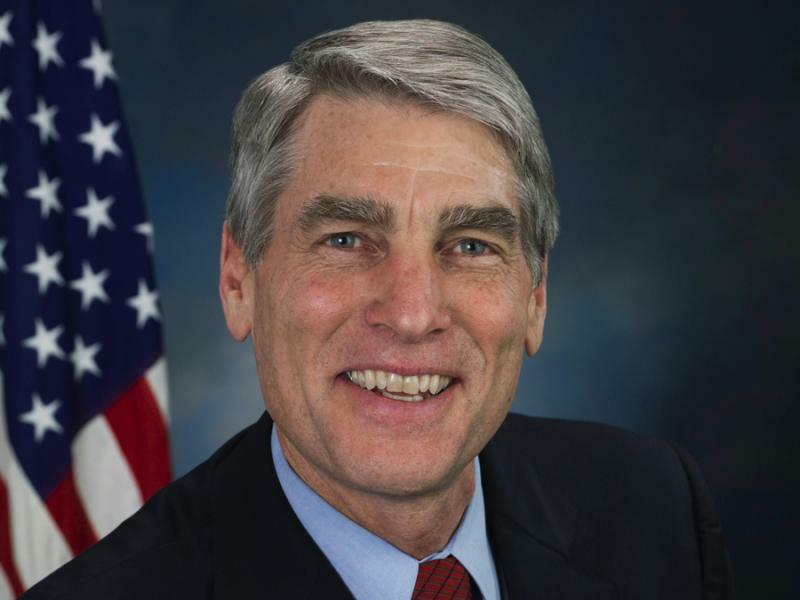 One from incumbent Democratic Senator Mark Udall called his challenger’s record troubling. The bill Udall speaks of is the so-called personhood amendment. Colorado voters overwhelmingly rejected it twice – in 2008 and in 2010. Republican Representative Cory Gardner was a strong supporter but has since reversed course. His campaign said Gardner now opposes the personhood measure because it has the potential to outlaw common forms of birth control. Not to be outdone, Gardner too is running his own ad. For this third attempt, the language on the initiative is different. Instead of granting personhood at the moment of fertilization, or from the beginning of biological development, the proposal would include unborn human beings in the criminal code and wrongful death act. Nancy Leong, a professor at the University of Denver’s Sturm College of Law, characterizes the initiative as very sweeping. “The immediate thing a lot of people are reacting to is the reproductive arena, but if you think about how many times the word person, and how many times the word child appear in the Colorado constitution, there’s hardly an area of law that wouldn’t potentially be affected in some way,” Leong said. She cited child abuse laws as one example. “If there were some argument that a woman placed her unborn fetus in a position that lead to the miscarriage, then potentially this child abuse statute could apply,” said Leong. It would also have interesting political implications Leong notes. Allen Franklin with the liberal group Progress Now Colorado attends a rally at the state capitol to kick off the no on amendment 67 campaign. He stands with a cutout of Republican Congressman Cory Gardner, who is running for U.S. Senate. Gardner used to support the personhood amendment, but now opposes it locally. Democrats are certainly trying to use the personhood proposal to attract women and independent voters. 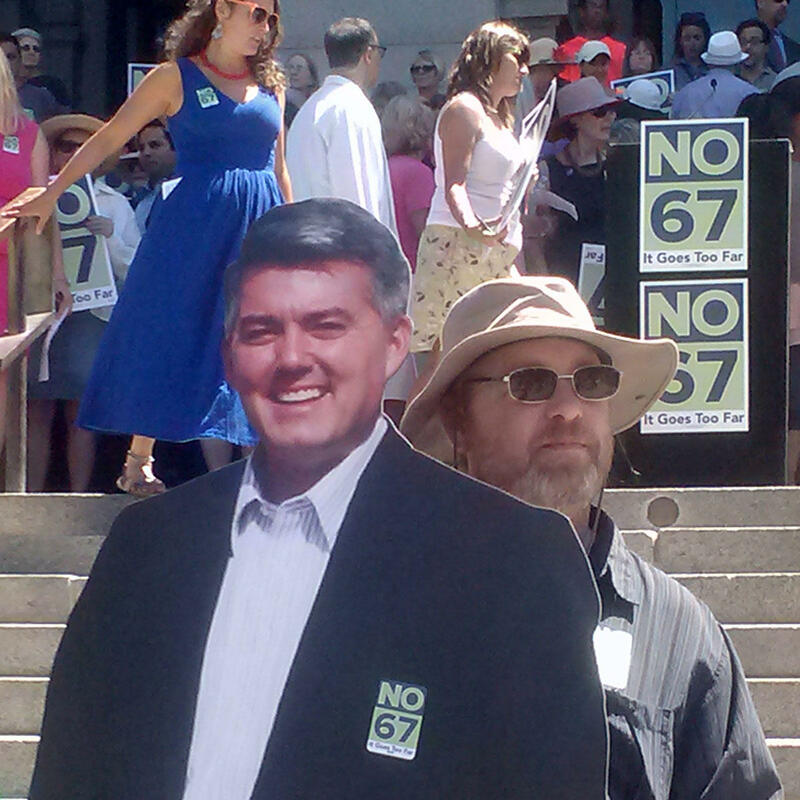 At a recent rally to kick off the No on Amendment 67 Campaign, the left leaning group Progress Now Colorado brought a full size cut out of Congressman Gardner to show his flip-flop on the issue. Colorado State University Political Science Professor John Straayer isn’t sure that the personhood amendment is the fundamental issue – rather it’s the larger backdrop of the race. He said it benefits Democrats to focus on social issues and attempt to depict Cory Gardner’s views as outside the mainstream. It’s hard to say whether that will be successful. Polls show the U.S. Senate race is deadlocked. The Republican Party said Democrats are forcing the issue because abortion isn’t a topic at the top of most voters’ minds this election cycle. It's jobs and the economy on the minds of women voters said Owen Loftus, a spokesman for the Colorado Republican Committee. He doesn’t think the personhood proposal will hurt Gardner - even though Gardner still supports a similar federal measure. “It’s not personhood federally. The Democrats like to say it is personhood, but it’s not,” said Loftus. The federal bill, H.R.1091, is called the Life at Conception Act [.pdf]. The change is position for Gardner hasn’t been well received with Amendment 67 supporters, like Jennifer Mason, a spokeswoman for the Yes on Amendment 67 Campaign. “Obviously he’s a victim of some bad political advice, there’s no reason for him to pull local support while he’s still 100 percent behind the federal amendment. It doesn’t make any sense,” said Mason. By changing his position at the local level she said, Gardner is showing it’s more of a political game than personal conviction. Mason concedes though that most of those conservatives are still likely to vote for Gardner in November, especially when they’re upset over other federal issues such as Obamacare and Benghazi. The success of the candidate's ad campaigns - and the fate of Amendment 67 - will ultimately be determined by the voters. Colorado Sen. Mark Udall is barely ahead of his Republican challenger, Rep. Cory Gardner, according to a new poll from Quinnipiac University. The poll suggests the economy and the new healthcare law could be the two biggest hurdles for the Democratic incumbent to retain the seat. 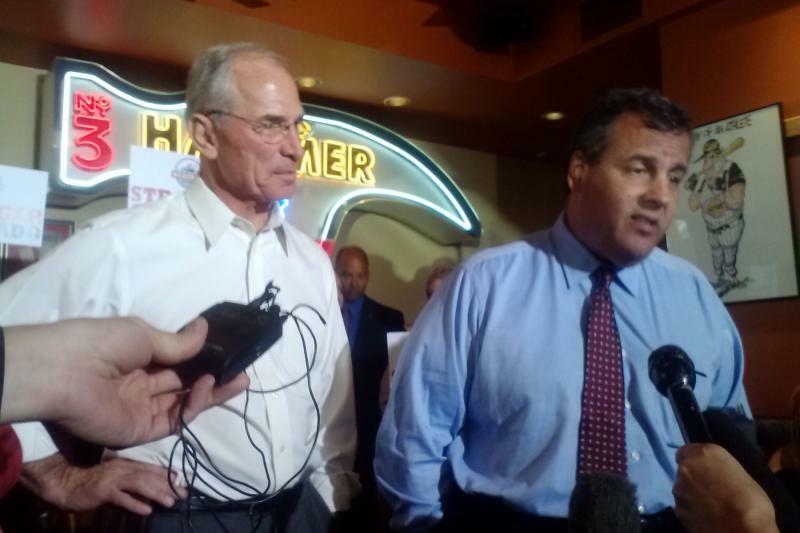 While campaigning for Republican gubernatorial candidate Bob Beauprez, New Jersey Governor Chris Christie refused to back down from his comments made earlier in 2014, criticizing Colorado’s quality of life after legalizing recreational marijuana. “We’ve got to stop in public life worrying about making everybody happy and faking it, like we’re going to agree all the time,” said Christie. Western voters have said they care about conservation and protection of public lands. 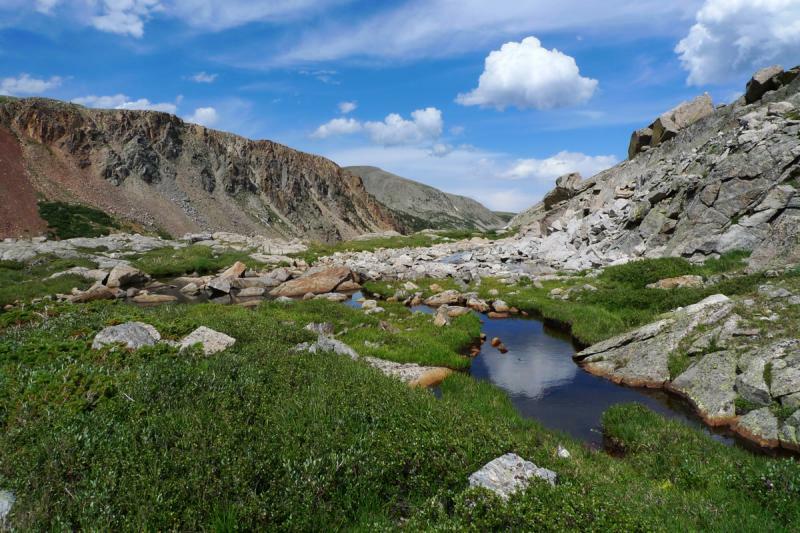 Now, an advertising campaign by the Denver-based group Center for Western Priorities aims to persuade elected officials – and those up for election – that land and water conservation is an issue that could affect their candidacy.